KFC ambitious goal for the beginning of 2017 was to recruit new members, doubling the existing base, for the Colonel’s Club program. But the bigger barrier to the acquisition and, most important, to continued usage is that most people didn’t understand what the program stands for, how they could benefit from and why they should keep using it. People do love the Colonel’s special recipe chicken but they didn’t get the chance to connect with the first man who used to feed truck drivers and millionaires all at the same table at the original café in Corbin, Kentucky in the late 1930s. They did interact with Colonel Sanders only through the logo found on every bucket. 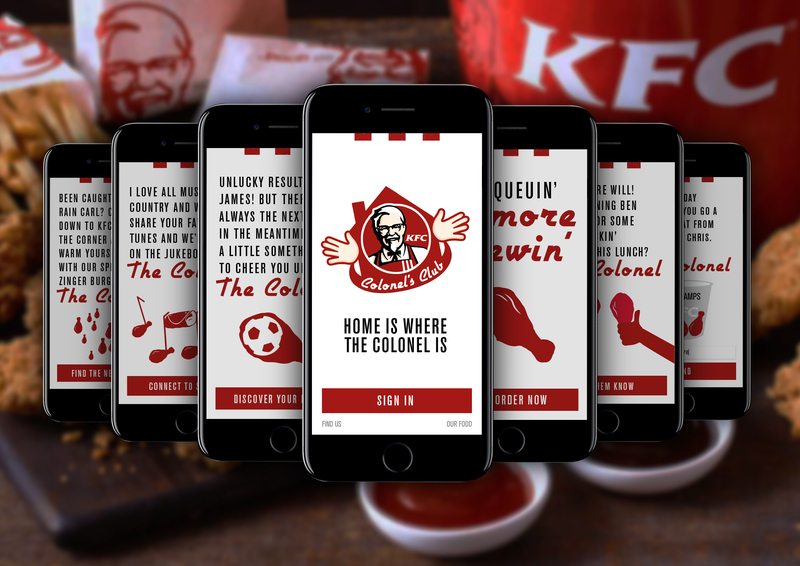 We wanted to bring Colonel Sanders to the forefront of KFC’s loyalty scheme making the connection that the Colonel’s Club is the modern version of Colonel Sanders’ hospitality and generosity. We wanted to make people signing up to the scheme and keep using it. By giving the programme a reason to exist beyond its rational benefits (the rewards and the offers) that so many other loyalty schemes are competing on. The Colonel welcomes every customer with open arms and great generosity. Any friend of yours is a friend to the Colonel. His home is your home. We will spread the Colonel’s great southern generosity throughout our messaging and Colonel’s Club app, helping our guests to feel more at home than ever before.